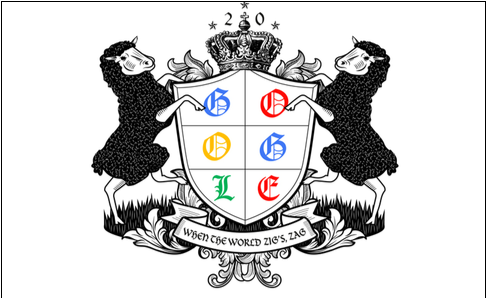 Five agencies design their anniversary messages as Google’s iconic Doodle comes of age. Burning Man festival 1998. When Google founders Larry Page and Sergey Brin wanted to sign out of the office for a few days to head out to party in the Nevada desert, they cheekily tweaked the Google corporate logo to add the iconic Burning Man stick figure on the second “O” and left it as a message to their fellow Googlers that they were out of the office. And so, on 30 August 1998, days before the global company was even launched – the Google Doodle was born with a mission of combining the simple colourful company logo with a key date. Fast forward 20 years and a dedicated team of illustrators now create Google Doodles, with more than 2,000 illustrations created for homepages in various destinations. 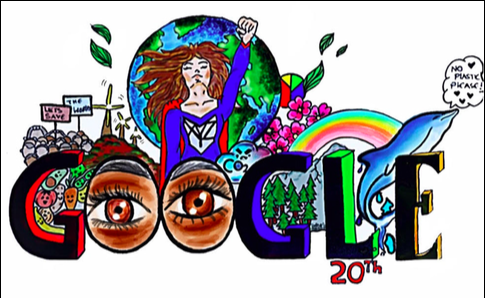 To celebrate the Doodle’s 20th birthday, five adland creators have designed their own tribute, incorporating the landmark anniversary alongside their own passion project or ethos. Creative director Malin Hanas chose to go analogue with her celebratory image, which is a drawing – an actual doodle – in the Google colours. To reference her own creative talents, it is related to her woodworking/furniture-making hobby. This image by XYZ’s creative designer Anna Ramsamy represents some of the global social issues the agency has been tackling as part of their work this year, as well as the power of women in the workforce. Female employees represent 75% of the agency and also 75% of the senior leadership team. The themes of food waste and recycling reference the agency’s current campaign with Hotpoint while the natural materials reflect their work on the UK launch of new sustainable shoe brand using only natural materials, Allbirds. 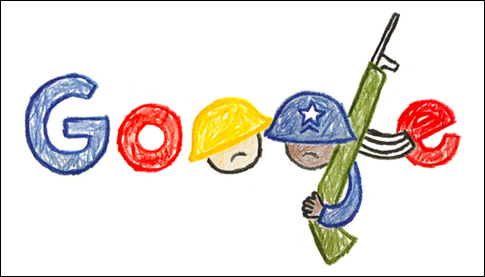 The team at Lucky Generals looked back to the month Google Doodle launched as inspiration for their doodle, and came up with Unlucky Generals, “because we’re Lucky Generals, we’d like to draw attention to the 100,000 kids who are unlucky enough to be child soldiers in 2018. Created by art director Callum Prior, creative director Hamish Pinnell and designer Daisy King, the BBH illustration is an “inherently traditional look and feel on a purely digital brand”. First published in Campaign UK. MISSION: IMPOSSIBLE – FALLOUT – WHAT A CRACKER OF A FILM.